Imagine how many more clients you could meet if you had 20% more time. This is the figure that our clients typically tell us that they spent on bookkeeping before engaging our services. Many of our clients opt to combine bookkeeping work with production of VAT returns saving even more time. 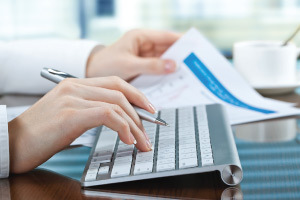 We will help you set up a bookkeeping system that is tailored to you and your business. Whichever way you want to maintain your books and records we can show you the best way of achieving this with minimal time and fuss. We can also complete your bookkeeping for you. We provide clients with a low cost solution, keeping you up to date with requirements and releasing time for you to work on your business. If you are in Blackpool or the surrounding areas then contact Whitegates Accountants today on 01253 399366 for more information about bookkeeping and VAT!